By Peter Anderson 4 Comments - The content of this website often contains affiliate links and I may be compensated if you buy through those links (at no cost to you!). Learn more about how we make money. Last edited August 28, 2017 . 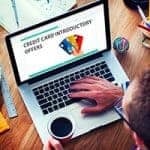 If you've been reading this blog for any period of time, you probably know that I'm not a huge fan of credit cards. As a Dave Ramsey fan and facilitator for his Financial Peace University class, you'd probably understand why. In general I think that using debt and credit are just poor ways to get ahead. I've also talked about how Credit Card companies often do things that are unethical, and how they won't look out for your best interests. Sometimes they'll even do things that are downright illegal! Needless to say, in many respects the credit card industry is in need of some increased regulation. It looks like that may be happening. A Good Idea Or Not? Could There Be Unintended Consequences? Requires credit card companies to give cardholders 45 days advance notice of an increase in interest rates. Most of the provisions in the bill will not take effect for another 9 months (February 2010), others slightly longer. “When you start restricting the price banks can charge to customers, they are going to start cutting back their lending,” said Erik Benrud, finance professor at Drexel University in Philadelphia. “If the banks know they can't raise rates on existing balances, that too will restrict their desire to make loans to certain groups,” he said. In essence he's saying that the people who might be helped by the provisions in the bill would actually be harmed because they wouldn't be able to get credit in the first place, or as another person mentioned, the cost of higher risk borrowers would be transferred to responsible borrowers through higher interest rates and fees for everyone. It could also mean fewer rewards programs. Consumer advocates disagree that the bill will hurt as some industry experts have mentioned. “You mean, if they can't rip us off they are going to give us less credit?” said Gail Hillebrand, financial services campaign manager at Consumers Union. “We've been hearing that argument for a long time. “I don't think they're going to give us less credit, but if they can't rip us off, that's a good thing,” she said. Others went on to say that the argument that all borrowers will pay higher interest rates is a moot point – as many responsible borrowers are already seeing rate increases or added fees for no reason other than the companies are trying to make up for losses in other areas. Personally I can see the law having some unintended consequences, and I fully expect that the credit card companies could in fact restrict access to credit, raise interest rates for all borrowers and cut rewards programs significantly. We shall see if that actually happens. The credit card legislation really isn't a big issue for me as i don't use credit very often, and when I do it gets paid off right away (with cash I already have saved). For borrowers that are responsible and pay off balances quickly, the provisions in this bill will probably have limited effect. For those that carry a balance from month to month this bill will most likely give some added stability and transparency to their credit card relationships, and keep the companies from completely taking advantage of them. What do you think of the Credit Card Accountability, Responsibility and Disclosure Act of 2009 (CARD)? do you think it's a good idea? Do you think it will have unintended consequences? Let us know what you think in the comments! I think that government should protect private property (e.g. my money) without interfering with private business. Going by the bulleted list of what’s in the law, I think some of the items are _arguably_ protection of private propety in that they prevent border-line lying, cheating, and stealing on the part of the credit card company by, e.g., billing 2 days before a bill is due. Still, it is a little invasive, imo.